The Department of Higher Education and Training was present to brief the Committee on the National Qualifications Framework Amendment Bill [B20-2018]. The primary purpose of the Bill was to prevent the use of fraudulent certification by employees and institutions or the misrepresentation of certification. In the past, hundreds of false certificates had been in circulation and that had led to an unqualified workforce and the degradation of proper certification. There had also been much confusion in the past over foreign qualifications used in South Africa. Previously, not much had been done in the way of proving the legitimacy of foreign certification. However, the Department was linking with databases both globally and on the continent of Africa and would have a registry of accredited institutions. The Committee deliberated on the specifics of the Bill and its implementation. The legislation would be It would be implemented through current SAQA structures and the relevant Quality Councils. The South African Qualifications Authority would publish a list of offenders who had fraudulent certification or who had misrepresented their certification. Some Committee Members were concerned about the power that the publication of such a list gave the government and asked what someone could do if a person were put on the list because there had been a mistake, or the person had been unaware of the requirements. What rights did one have if one’s name was put on the register by mistake? Members asked about the position of online training and certification and how that would play out in the new climate. Committee Members asked about the recognition of foreign qualifications and how equivalency would be established. Would the register of fraudulent and misrepresented qualifications be an open secret and displayed online? Members were concerned that there were not sufficient resources to provide for implementation of the Bill. Would SAQA have funding for the additional legal cases that it would have to take on? Legal Services officials from the Department were there to answer questions about the content of the Bill and parliamentary legal advisors spoke on the progress of the Bill. The Chairperson adjourned the meeting with the announcement that the public would be able to comment on the Bill until 20 August 2018 when the Committee would continue the deliberation of the Bill, considering the submissions made by the public. The Chairperson opened the meeting by stating that the purpose of the meeting was to receive a briefing on amendments made to the National Qualifications Framework (NQF) Bill by the Department of Higher Education and Training (DHET). Mr Eben Boshoff, Chief Director: Legal Services, DHET, stated that the purpose of the amendment made to the National Qualifications Framework Act was to confront fraud and corruption and to ensure that people were educated “in a credible way.” The Amendment Bill defined offences, fraud, misrepresentation, required all private providers to be registered with the state, and gave more power to the South African Qualifications Authority (SAQA) to evaluate and verify qualifications. The Bill provided SAQA and three Quality Councils the legislative power to manage fraud and misrepresentation properly. It supported the National Development Plan which required education and training of the highest quality. It would be implemented through current SAQA structures and the relevant Quality Councils. Once implemented, SAQA would collect and publish a register of fraudulent and misrepresented qualifications. The Chairperson asked for any additions from the Department and when there were none offered, she opened the floor for questions. Mr A van der Westhuizen (DA) stated that that Act as well as the previous one both referenced educational and training institutions. Would it be allowable for those who attended a skills training programme to receive a diploma and for it to mean something towards their certification? There should be a focus on developing people’s skills. What was the position on foreign certifications? It was common for someone to acquire an international certification with the intention of opening up more opportunities. Would the person’s qualifications be recognized? Lastly, he asked about the position of online training and certification. Those should not be discouraged but how would that play out in the new climate? Dr B Bozzoli (DA) asked two questions. Since more entities were being included under that Bill, would there be a specification of requirements for accreditation? Informal or smaller entities did not have the capacity or resources to fill out the enormous amount of paperwork currently required and there should be a simplification of rules. It was good that one of the main goals was to cut down on fraud. However, she wondered if the Bill would make a significant difference. She was concerned that if there was a case of someone committing fraudulent activity in a smaller entity, the offender might not be reported. Smaller entities did not have the time or ability to take an offender to court because of the costs and the sacrifice to their reputations. Some professional body, maybe a branch of SAQA, should be present to pursue relevant cases, otherwise there might not be a definite change. Mr C Kekana (ANC) placed an emphasis on skill. He stated that it was common for people to grow up in apprenticeships, working for their parents or guardians. How would those people acquire accreditation? Skills were present, but they needed to be recognized. He also asked about those who had come from another country with a certificate from that country. Would they be recognized or included? For those who were in the country. How would their certification be standardized? Universities and institutions did not all teach the same things. How would the certificates be equal? Ms J Kilian (ANC) made the point that there had been a gap in SAQA’s efficiency range and she was optimistic at the progress made to change that. In the past couple of years, two-thirds of qualifications were internationally obtained and hundreds of the total number, both international and national, were fake. Her question was whether the registration of fraudulent and misrepresented qualifications would be an open secret and displayed online. That might act as a deterrent to those who attempted to fake qualifications while at the same time prove to those who have the proper qualifications that their hard work in obtaining a certificate meant something for their careers. Mr N Khubisa (NFP) asked if footwork would be done in smaller towns and cities. In more rural areas, students travelled to the closest academic institute, not realizing that the institutions might not be registered. His second point was that institutes which were registered might become lax about maintaining their proper qualifications. They might require their students to take certain classes or measures which were no longer required or might not ensure they took the proper courses required to become properly certified. What security measures would be taken to prevent that? Also, what measures would be taken to verify international accreditations? Ms C Dudley (ACDP) pointed out that there was an issue with students going abroad and receiving degrees or certification but on their return to South Africa, they were discriminated against and told that their certification was not valid. She asked the Department to comment on that and to provide a plan to prevent it occurring in the future. Ms S Mchunu (ANC) stated that it was a good Bill and was long overdue. However, she was worried that there were insufficient resources for implementation of the Bill. The legal costs of SAQA would increase and she wanted to make sure that there would be a plan in place. The Chairperson seconded Ms Mchunu’s point that the financing of the Bill was an extremely important aspect which should not be overlooked. There needed to be a financial commitment. The Bill sought to prevent citizens from taking shortcuts, although the specifics on security should be clarified. She stated that the Members were correct in presuming that most of the people who possessed fraudulent or misrepresented certificates were very young. Just setting harsh rules and punishing people would not solve the problem at hand. There needed to be measures in place to help people obtain legal certification. Mr Boshoff, upon request of the Chairperson, introduced his colleagues. Dr Shirley Lloyd, Director: NQF Directorate, DHET, was first to respond. She said that the Department recognized both formal and informal education and training. Informal education providers, those who offered short courses to improve skills, did not have to be registered but they were also not allowed to give formal certification. However, it was possible for certain institutions to give part-qualifications for short courses with the proper registration and approval from one of the three quality councils. Referring to simplification, she said that the Department recognized that it was more difficult for smaller entities to complete all forms required. The DHET had an agreement with the quality councils that when they had accredited smaller entities, they would communicate with the Department and that would allow smaller entities to bypass the lengthy paperwork that institutions had to compete. As far as recognizing foreign certifications, providers of those certifications had agreed to meet the new legislation required by South Africa. As long as the institutions were registered, there should be no further problems. The DHET was also beginning to work with qualification networks, one global and the other across Africa, which had a registry of qualified entities which had met requirements and could be trusted. The Department was aware of the digital movement to take classes online and while there were no specifics in the Bill pertaining to online courses, they should be able to be included in other policies. Cabinet had approved that the qualifications of all levels of government should be verified by SAQA. 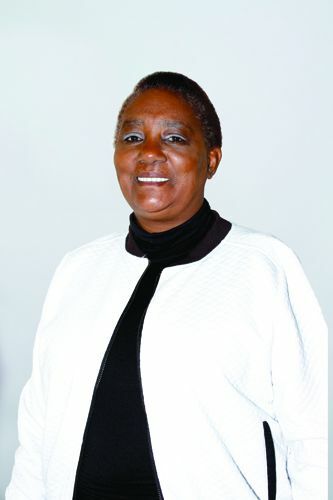 Every two months, SAQA was required to report all cases of fraud or misrepresentation to the Minister of DHET and all registered entities were required to report all relevant cases to SAQA. The register that SAQA provided would be an open register online, accessible to everyone. Security measures were not being taken as all cases of fraud and misrepresentation had to be reported. The Act also dictated penalties and offences which were previously not legislated and those would hopefully also discourage fraudulent activity. Prior learning was an important part of the culture and there were recognition programs for those who had prior learning. It was a work-in-progress by the Minister, but it was a key focus point as there were parts of the country which were not recognized, or where communication was not adequate. In those areas, there had been some physical footwork. However, more was needed. A message that the Department would like to relay to people was that when looking for an entity or institution to attend, one had to check that the institution was accredited, possessed a registration certificate, and whether it was a formal or informal institution. If formal, the institution should appear on the National Learners Records Database (NLRD) which indicated that the institution or entity was registered. SAQA and the Quality Councils were currently reviewing legislation on the registration of qualifications and part-qualifications. Previous legislation had some gaps and needed to be revised. Another development was that the Minister had recently signed a mutual recognition agreement with a few countries from Asia and that would help students traversing from one of those countries to South Africa. 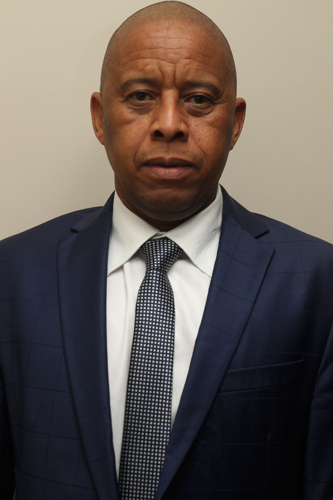 Mr Mathews Mokhele, Senior Legal Admin Officer for the DHET, said that those who had been put on the open registry for fraud or misrepresentation but were unaware that they did not possess the correct certification could appeal to be taken off the register and acquire the correct certifications. Mr Dumisani Makhaye, Director of Legal Legislative Services for the DHET, spoke on the simplification of rules. There had been many complaints about the current rules and the Department was working to make them more accommodating. Concerning foreign institutions, under the Continuing Education and Training (CET) Act, if an institution wanted to offer certification on behalf of a foreign institution, that institution had to be registered in South Africa, just as the foreign institution was registered in its own country. Mr Boshoff stressed the complexity of allowing foreign institutions to offer courses as they were not within the jurisdiction of South Africa. He emphasized the negative impact that could result from those institutions not being properly registered. He reiterated the point that it was essential for institutions, especially those in townships and rural areas, to report fraud or misrepresentation. SAQA needed to closely monitor the situation and work with the Department of Justice. When it came to qualifications and part-qualifications, SAQA had to give all legitimate qualifications the necessary recognition. The final outcome of their work should see a simplified approach and it would be very clearly communicated to the public. The legislative framework had been well formulated. However, it was only useful if the public was made aware of what it meant so that it was properly implemented. Security was not the focus of the Bill as security measures were contained in past legislation. The Bill only added to security by publishing the list of offenders and making the falsification of qualifications public knowledge. Mr van der Westhuizen repeated that it was important to prevent the abuse of power. He was concerned about the “name and shame” list to be published. What rights did one have if one’s name was put on that list by mistake? Could one appeal to the court to be taken off the list? In the past, there had been cases of people believing that they had the required qualification, but they had been incorrectly informed and had been blacklisted through no fault of their own. The goal of the Bill should be to develop skills and help people to acquire certification, not to put up barriers. Mr Khubisa commented that, in the past, Non-Profit Organizations and Non-Government Organizations had been tempted to give their students diplomas that had no credibility as they were not registered with the Department. There was a need for the education of assessors and moderators. 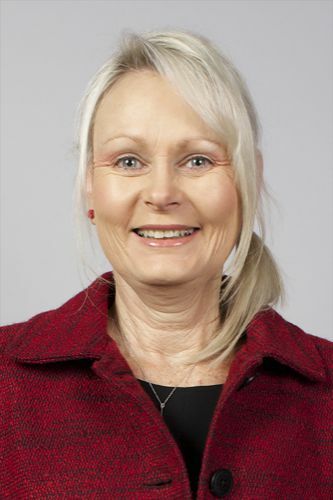 The Chairperson said that some of Mr van der Westhuizen’s concerns should be addressed by the Committee itself rather than the Department. If there did need to be specific changes or amendments made, that was the Committee’s responsibility. Mr Boshoff agreed with the Chairperson that further changes should be made by the Committee. Although many pieces of legislation addressed that situation, it might be worth considering the impact of creating yet another article of legislation to follow. The legislation should provide a framework large enough to provide for every case and there should not be a need to create a new piece of law for one specific case. Mr Kekana asked for an explanation. Was it not the duty of the presenters to find the loopholes in the legislation and close them during drafting, rather than later? Ms Mchunu asked if the draft national policy on the Misrepresentation of Qualifications in 2017 had been finalized. If it had, it would be helpful the Committee to have it. Mr Boshoff stated the draft Ms Mchunu mentioned had been withdrawn and replaced by the current Bill because it had become too difficult to implement without the necessary legislation. The Chairperson called on the parliamentary Legal Advisors to provide an update on the parliamentary processes relating to the Bill. Ms Fatima Ebrahim, Parliamentary Legal Advisor, introduced herself and her colleague. The Chairperson asked when the first opportunity would be for the Committee to begin examining the Bill after the period for public contributions and the parliamentary recess. Also, would it be possible to combine the first and second readings of the Bill in National Assembly? Ms Ebrahim said that parliamentary rules allowed for the Committee to meet during recess and permission had been granted for the meeting. Although she did say that since Parliament was in recess, it might be possible for people to overlook the opportunity to add their contributions purely because they were not expecting any legislation at that time. She suggested that copies of the advertisements be sent to stakeholders. Unfortunately, it was not possible to lump the two readings together. With some types of Bills, i.e. the Committee Bills, it was possible to do so, but not with Executive Bills. That was most likely the source of confusion. Ms Kilian suggested a 21-day period for the public to provide written comment on the published Bill. After that, the Committee could decide how many public hearings were necessary. She stressed how important it was to be cautious and to follow the rules exactly. The Chairperson confirmed that the cut-off date for input should be August 20th, which was almost three weeks. The word needed to be spread to the public that the Committee was asking for inputs. Until the meeting on August 20th, the Committee should be studying the Bill. She asked Ms Ebrahim to confirm that the Committee was able to send out the Bill at that point without waiting for confirmation. Ms Ebrahim stated that that was her understanding, but it might be necessary to get the procedural Committee’s opinion. She then described the difference between a first and a second reading and stated that it should not be a problem to send the Bill for public comment without having had the first reading. The Chairperson said that that should be checked once more. Until the next meeting, the Members would be kept up to date with the processes. The Department should send in those documents that had been discussed and requested. She thanked attendees for their participation.